In a world that always tells you to be like everyone else, at the Stellenbosch Academy of Design and Photography we want our students to be like no one else. 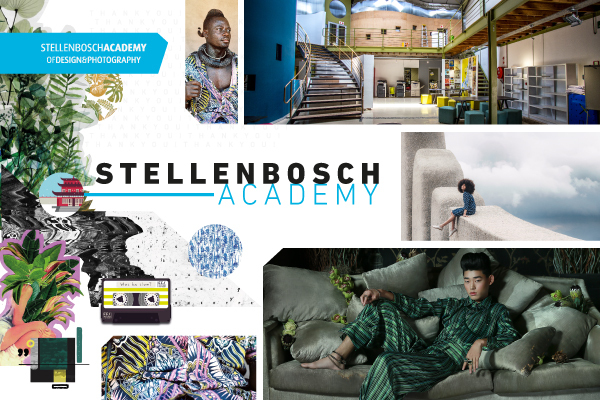 With more than a decade of educating young creatives, we offer a range of programmes, which allow our students to become the great creatives they were born to be. This approach was rewarded in 2012, when we were named the best creative school in South Africa, something we are incredibly proud of. This blog serves as a source of inspiration and showcase for the very best work coming out of the Academy, and we hope you enjoy browsing through the content as much as we enjoyed sourcing and sharing it.